Heavy duty magnesium anode rod(s) are installed for longer tank life. All commercial storage tank models are certified to ASME boiler and pressure vessel code standards. 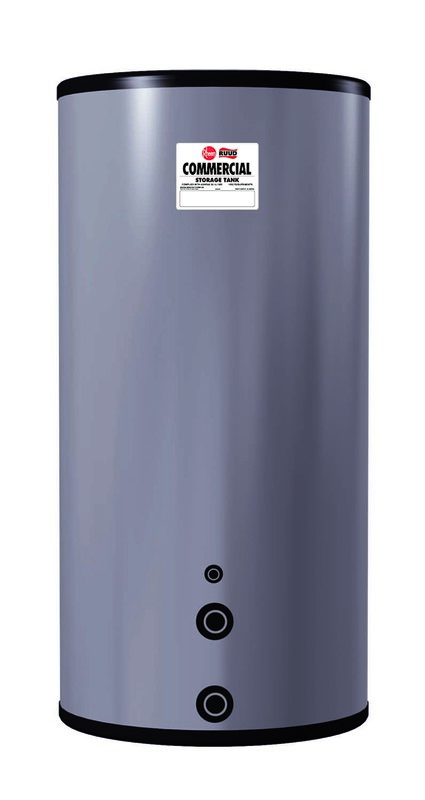 Unique steel formulation with high temperature porcelain enamel maximizes corrosion resistance and results in a superior tank design. Circulating line/cold inlet connections are 3" NPT (2-1/2" on 200 gallon) and hot outlet is 2".